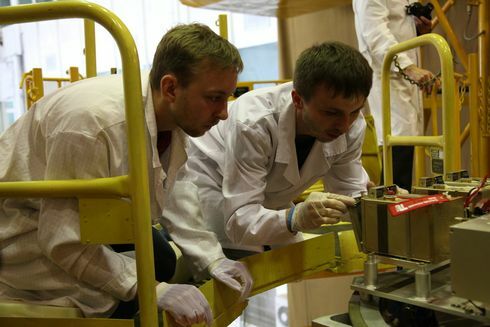 BEESAT-3 (Berlin Experimental and Educational SATellite 3) is a 1 kg picosatellite complying with the CubeSat design specification, which was developed at TU Berlin in three years. The primary objective of the BEESAT-3 mission is the education of students at TU Berlin. Therefore, the entire satellite is developed and designed by students as part of lectures, group design projects and theses. 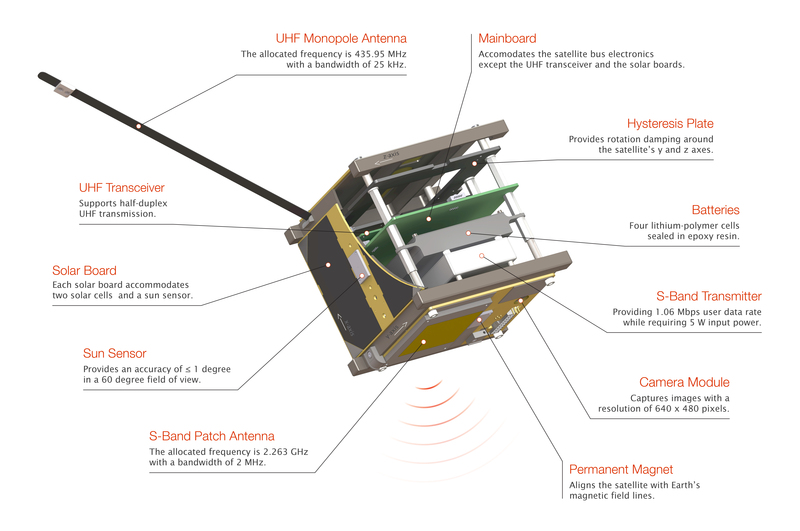 The secondary mission objective is the technology demonstration of HISPICO (Highly Integrated S-band link for PICO- and nanosatellites), which was developed in a former research project at TU Berlin in cooperation with IQ wireless GmbH, Berlin. The attitude determination and control system (ADCS) of BEESAT-3 consists of sun sensors and gyros for attitude determination and a permanent magnet and a hysteresis plate for passive attitude control. The permanent magnet aligns the satellite with Earth’s magnetic field lines in such a manner that the S-band patch antenna is directed to the ground while the BEESAT-3 is passing over the TU Berlin ground-station. The hysteresis plate interacts with Earth’s magnetic field, which results in nutation damping and therefore ensures that the ground-station remains within the transmission cone of the S-band antenna throughout the ground-station pass. In order to reduce the mass and volume of the satellite bus and therefore maximise the available space for the payload, all electric components of BEESAT-3, excluding the UHF transceiver are arranged on one single PCB board. BEESAT-3 was launched together with BEESAT-2 on the Russian Bion-M1 satellite with a Soyuz-2.1b launcher on the 19th of April 2013.